These sugar skulls are decked out in diamonds and roses and sure look pretty happy to us. 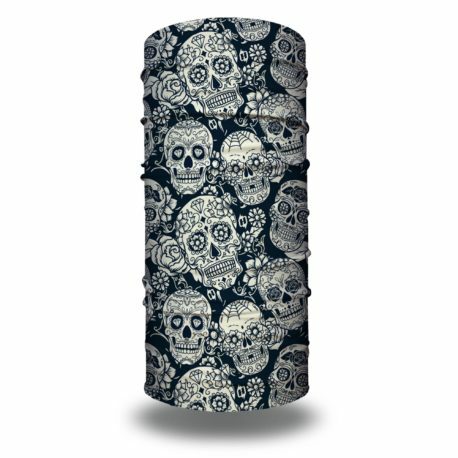 The Soul Rebel Skulls Bandana might just inspire you to live a little more and find your happiness- wherever you are in life. 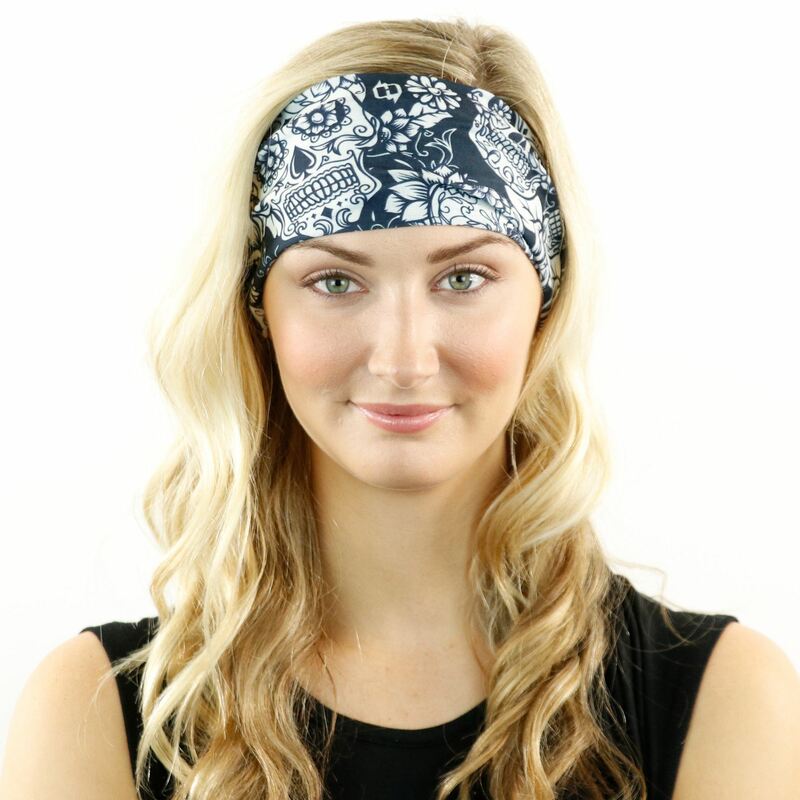 You can wear Hoo-rags as face masks, neck gaiters, scarves, beanies, hat liners, helmet liners and more. Up to 30 UPF sun protection rating. 100% moisture-wicking polyester microfiber. Approx. 19” x 8.5”. One size fits most. Machine wash cold. Line dry. Very soft and comfortable, has just the right amount of stretch. The sugar skull design is so fun and cute with a sprinkle of diamonds and flowers. Would love to see this Hoo in more colors. I’m a happy Hooligan with this purchase. Love this bandana! I am a police officer and I work in a specialty unit. I wore my Soul Rebel bandana for hours while on a detail. Very comfortable and easy. I will be ordering more styles for sure. I love my Soul Rebel Bandana! 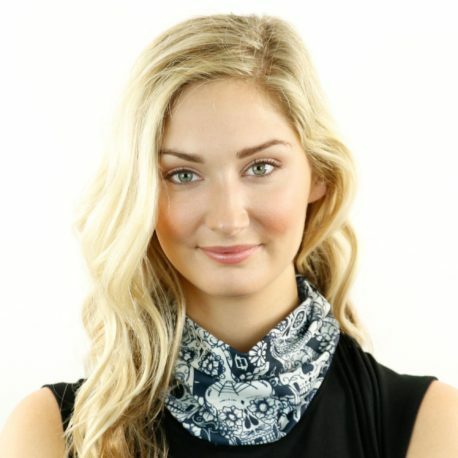 I bought it to protect my neck and face when on my motorcycle, but it’s so pretty and there are so many different ways to wear it, that I wear them on weekends to cover my messy hair and/or to add a little color to an outfit. Very happy the quality and speedy shipping.